Everyone loves when kids are active. It’s healthy fun and it burns off all that excess energy! 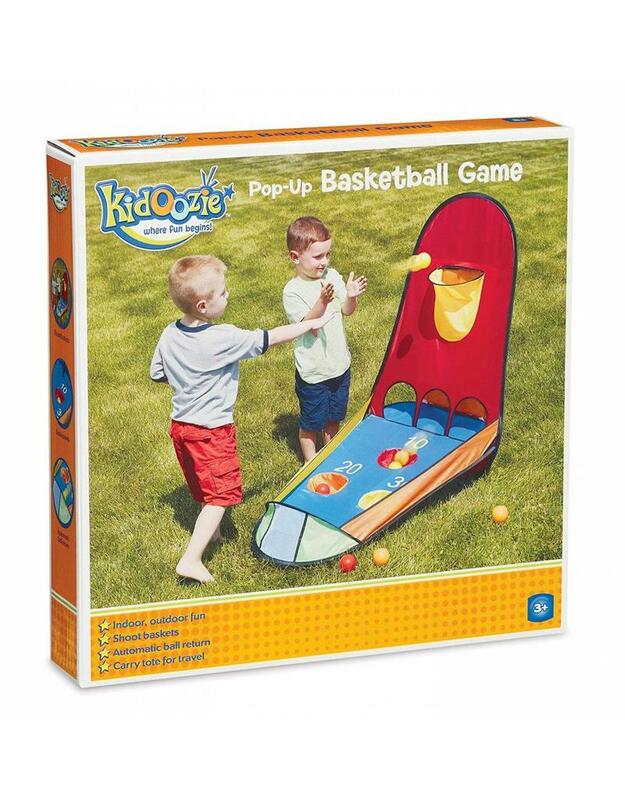 Bring home the Pop-Up Basketball Game so your kids can be active. It can be used both indoors and outdoors so a rainy day won’t kill your game. Even if you’re going to a barbecue or a weekend at grandma’s, you can bring your Pop Up Basketball Game along for the ride. It includes a convenient travel totes for easy transportation and storage. Games are great for teaching kids how to play with others. Skills like good sportsmanship can’t come early enough. While they’re learning friendly competition, you can have them try to begin adding their points together to determine winners. You can always sneak a little learning into every activity. Kidoozie toys are engaging, educational and FUN.